Here is a great photo! We haven’t seen this gentleman before, but I think he’s married to the lady on the left in this photo. We have some more photos in the set that looks like they’re of Mt. Rainier. So this would probably make this a picture near Paradise in Mount Rainier National Park. 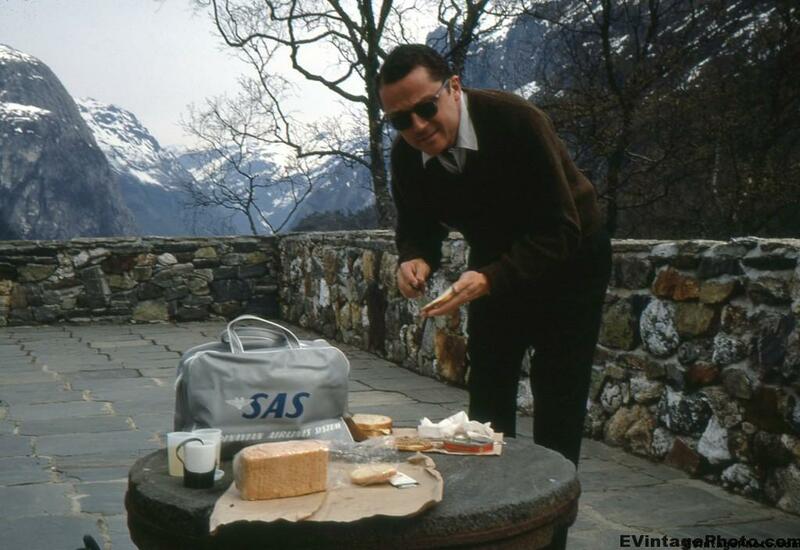 The bag that looks like it was carrying lunch is a vintage tote branded with the Scandinavian Airlines logo. Lunch looks like tinned meat and cheese with some lemonade on the side. Yummy!